Addressing customers must be done in a standardized way. Your customers may not always be external customers requiring a less formal greeting. 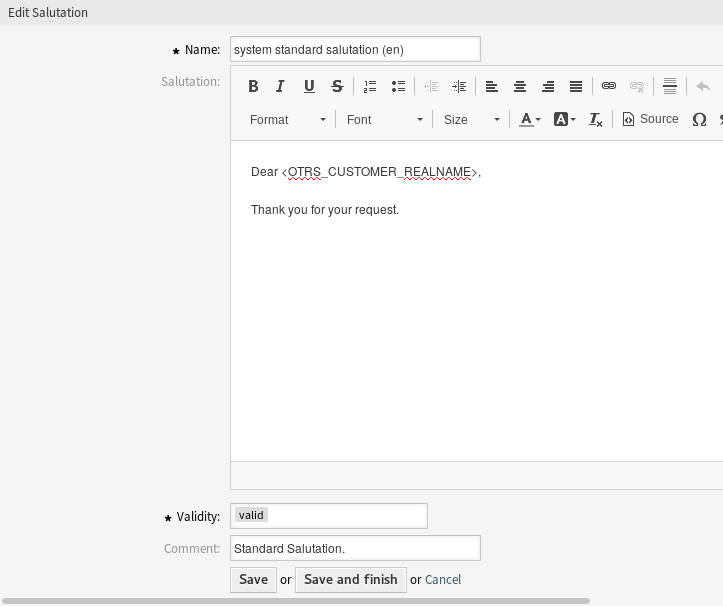 OTRS provides you with the tools needed to create a standardized communication form for any one of your queues. As defined in the Queue Settings: Salutations, Templates, and Signatures are combined to ensure a well formed standardized email communication. Salutations can be linked to one or more Queues. A salutation is used only in email answers to tickets. Use this screen to add salutations to the system. A fresh OTRS installation already contains a standard salutation. The salutation management screen is available in the Salutations module of the Ticket Settings group. 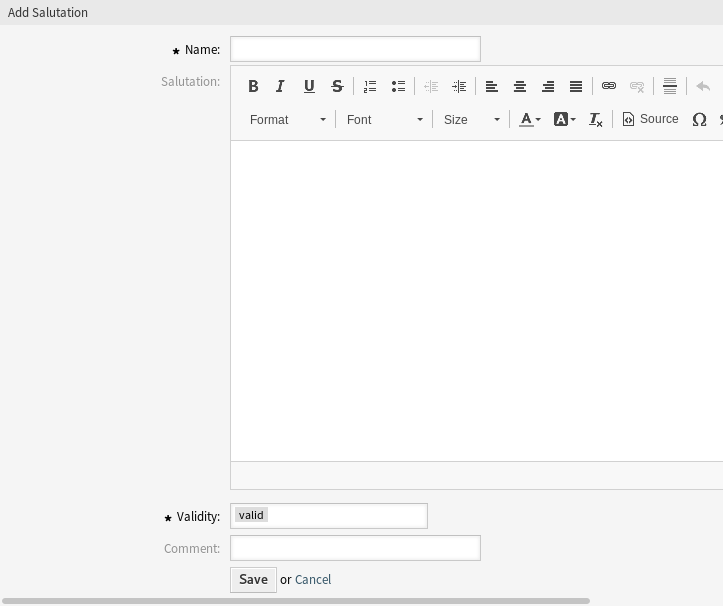 Click on the Add Salutation button in the left sidebar. Salutations can not be deleted from the system. They can only be deactivated by setting the Validity option to invalid or invalid-temporarily. Click on a salutation in the list of salutations. If several salutations are added to the system, use the filter box to find a particular salutation by just typing the name to filter. The text that will be placed to the beginning of new emails. 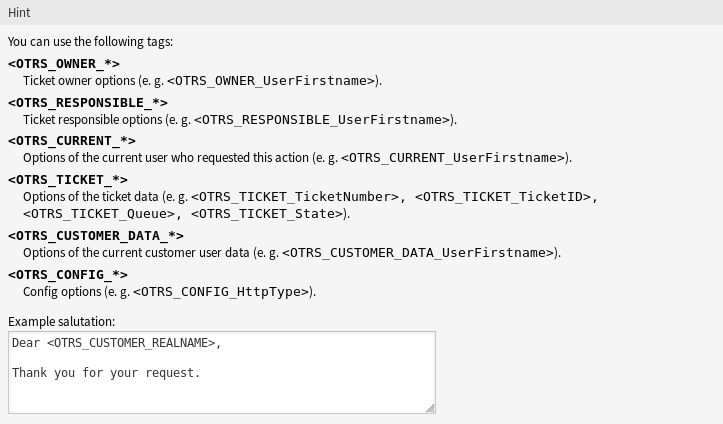 For example, the variable <OTRS_CUSTOMER_DATA_UserLastname> expands to the customer’s last name to be included in something like the following.